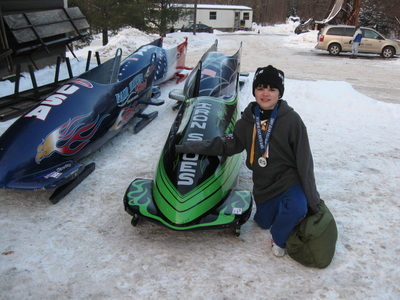 The Junior Program: The junior bobsledding program organized and managed by ORDA has been incredibly successful in the past years, feeding the ambitions of athletes such as John Napier, a bobsled pilot from Schenectady and resident of Lake Placid, who raced for the U.S. Olympic Bobsled Team in 2010. 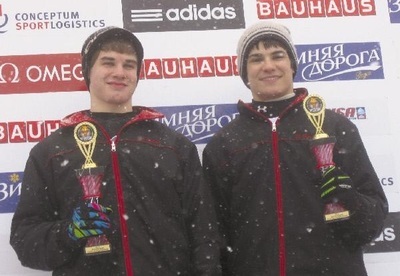 Program continues its success with additional sliders trying for the 2018 Olympic Team. It is the only youth program of its kind in the United States, geared mostly as introduction to the sport of bobsledding. 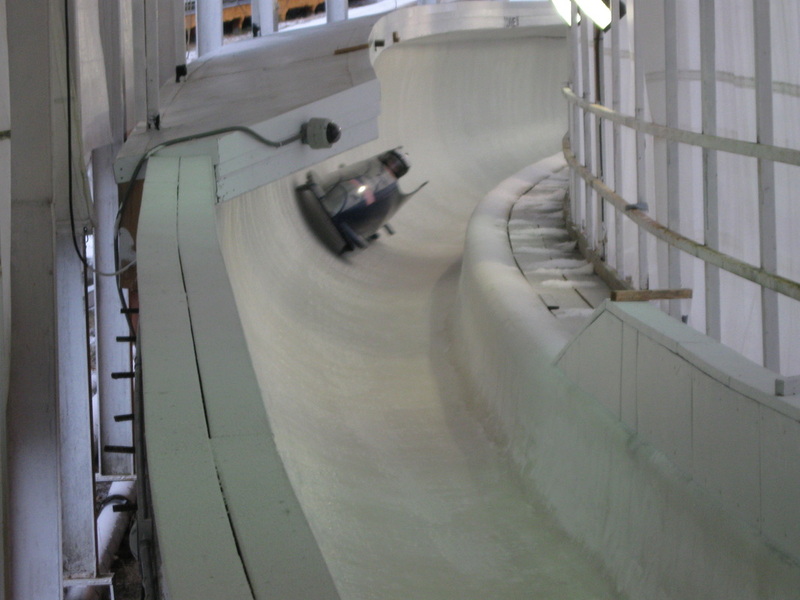 Multiple aspects of bobsledding are covered to include push clinics, sled maintenance and race technique. The JR. sled is smaller then the sleds used by the US Olympic Team. The JR sleds are built here in NY State by Don Hass. 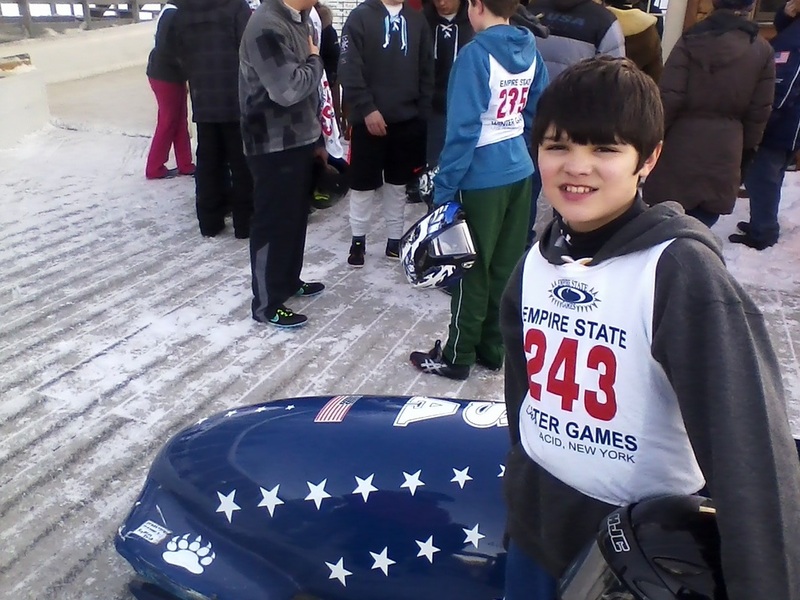 o Will seek sponsors to help replace aging Junior sleds. 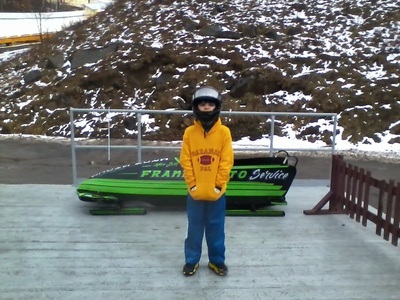 o Provide scholarship program to enable area youth (ages 10-16) who not afford the $100 dollar Junior bobsled program fee. 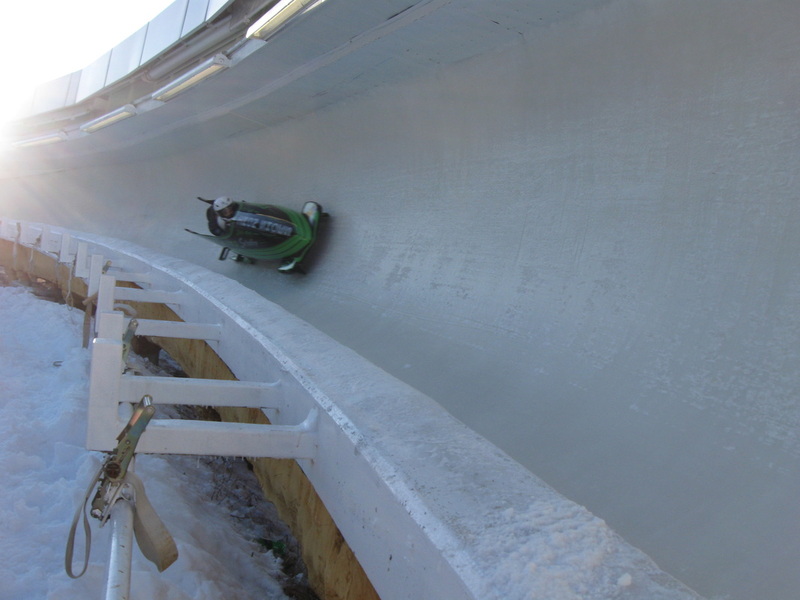 The program currently has 6 sleds that are used by the 35 plus Jr. bobsledders each season. 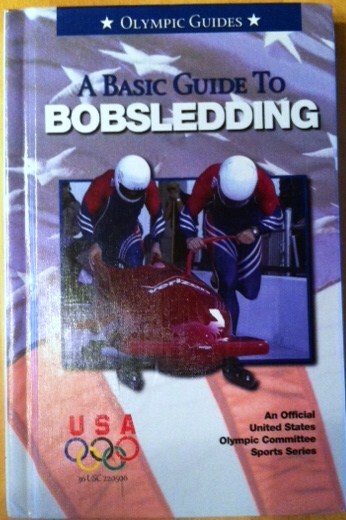 However, the sleds have been in service for over 15 years and the program could use your help. Each new sled will cost $7000. each. TAKE JUNIOR BOBSLED RIDE. CLICK BELOW. 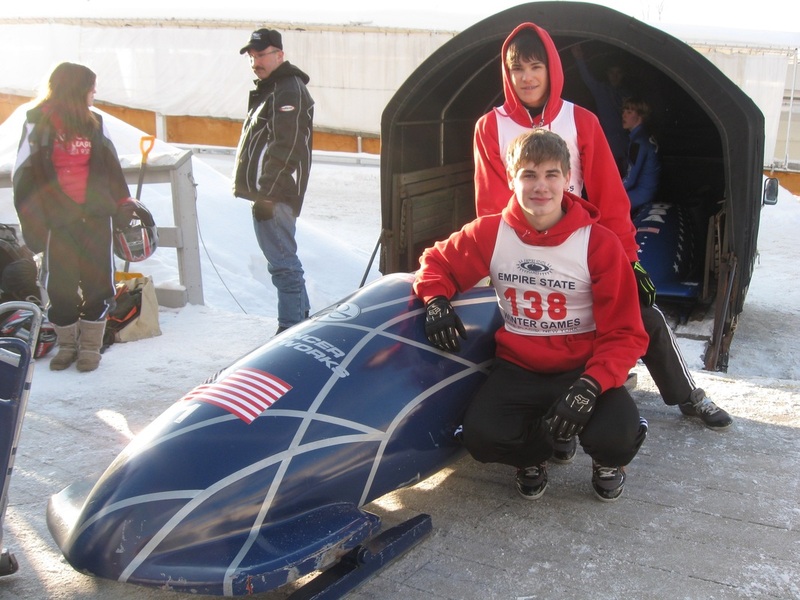 Red Devil Bobsled Team Supports this program by sponsor donation. 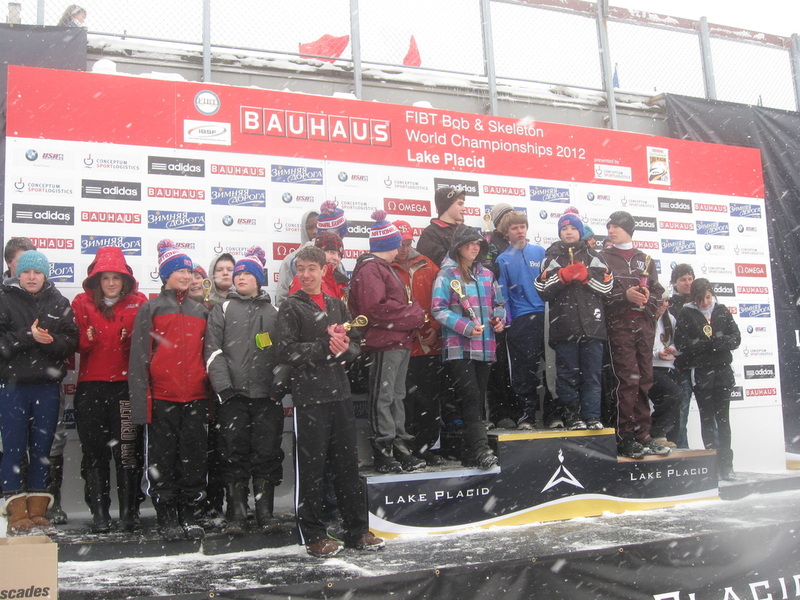 Please support the program.